In 2008, Element Bars was founded with the goal of providing custom nutrition bars directly to online customers. After developing expertise in small run energy and protein bar manufacturing, we opened our private label capacity to brands and entrepreneurs. We have grown as a food bar manufacturer alongside our wholesale co-packing partners and we are committed to creating a product that supports your vision for a bar brand. Element Bars is devoted to creating a bar that meets not only your taste and texture preferences, but also your desired nutritional profile. We can create your whole food bar in accordance with food certifications and dietary requirements including Organic, Non GMO, and Gluten Free. We take pride in the quality of our manufacturing and are GMP certified with HAACP Protocol. We retain our entrepreneurial roots with production trials starting at 1,000 bars, and have the capacity to produce over 1,000,000 bars per month for customers. We have partners that have launched with us at 1,000 bars and are now distributed in retailers throughout the United States and abroad. I like the smaller companies that give you the customer service needed to be successful for a startup like mine. With a competing company such as YouBar, who seems to offer very very similar services, Element won me over with the Gluten Free certs, the 3rd party auditing and the quick reply with questions. There were a few other competitors I spoke with but the way Element Bars stood out to me was the speed of their communication. Literally, every time I called someone answered which really stood out to me. Element Bars was very open to discussing my ideas and testing it out with minimal cost compared to other manufacturers. Most manufacturers wouldn't run them without a huge quantity commitment. 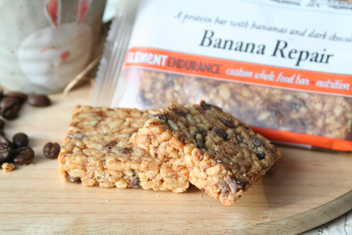 Element Bars is the only place willing to work with our recipe too.